Professional summer theater is a summer pastime everyone should experience! Especially in small intimate settings where everything is so close, vibrant and alive. 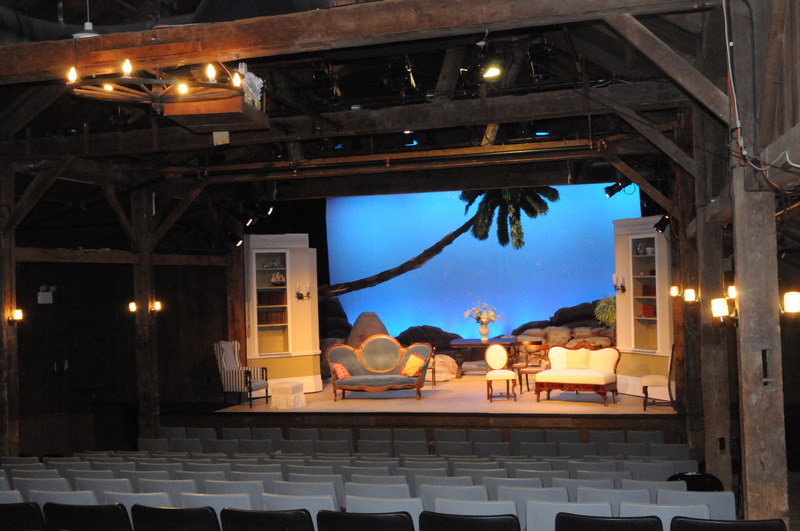 Recently, Shanahan completed projects at two historic summer theaters in New Hampshire. Hearing loop technology has been around for decades and has emerged all over Europe. Now they are just beginning to appear here in the United States. As they do, Shanahan remains the only contractor in New England to provide installations. 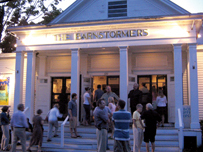 The Barnstormers Theater, founded in 1931, is a non-profit organization that produces eight productions every summer. We recently caught up with Bill "Batch" Batchelder from The Barnstormers Theater in Tamworth, New Hampshire, to talk about their hearing loop system. Bill explained, the 282-seat theater primarily attracts older adults that are either seasonal or weekly vacationers. Before the hearing loop system, Barnstormers used an FM radio broadcast system. It rarely worked and when it did, "we would often run out of receivers." Barnstormers is a beloved summer institution that was concerned about neglecting their patrons. Another concern was not being ADA compliant, so they began to research their options. When they saw this article in The New York Times, they knew the answer was a hearing loop. Since the system has been installed, they have not heard a single complaint from their attendees about the system. In fact, as a user of the product himself, Batchelder stated that he would recommend Shanahan and a hearing loop system to every theater. In describing his experience, he said, "Shaun was very helpful with his demonstration and answering our questions." Then he added, "Shanahan was great. They delivered what they said they would deliver." Shanahan also installed a system for Peterborough Players Professional Theater located just north of downtown Peterborough, NH. The 250-seat space has been renovated several times since the organization began in 1933. 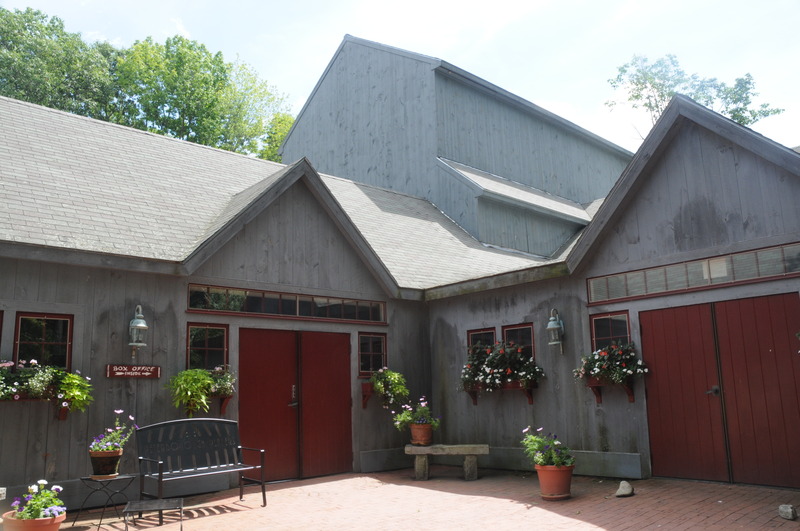 The 18th century barn is now a state of the art theater with a complete hearing loop system. Nearly 36 million people in the United States (17% of the population) have at least partial hearing loss, according to the Hearing Loss Association of America (HLAA). By the time these adults reach age 65, the number jumps to 33%. According to many audiologists, with the advent of the iPod generation, these numbers are bound to soar even higher! Currently, 8.4 million Americans, use hearing aids for assistance. Hearing loops broadcast a magnetic wave via an induction coil (a thin wire placed in the floor). Two-thirds of all hearing aids and all cochlear implants are able to receive this magnetic wave and translate it into direct sound for the listener. No additional equipment is needed. Hearing loops have become so popular in London that every taxicab in the city is now equipped with one. Here in America, they can be installed in theaters, offices, churches, temples, schools and dozens of other locations. For more information please contact Shanahan today! Let us help you turn your audio and visual requirements into reality. Give us a call at 800-786-1556 or contact us today for a no-obligation digital sign assessment. One of our professionals will be happy to work with you. Shanahan is looking for qualified technicians to join our team! For more information, contact info@shanahansound.com or 800-786-1556.